We expect our cars, computers, electrical appliances, lights, televisions, etc. to function whenever we need them – day after day, year after year. In today’s technological world nearly everyone depends upon the continued functioning of a wide array of complex machinery and equipment for their everyday health, safety, mobility and economic welfare. 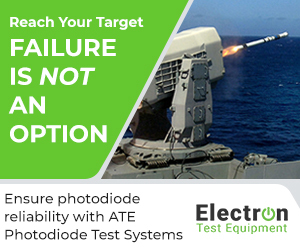 So a laser diode or photodiodes reliability performance is a function of the design, assembly, testing, and use. Decisions made during design predominately create the inherent reliability capability performance. 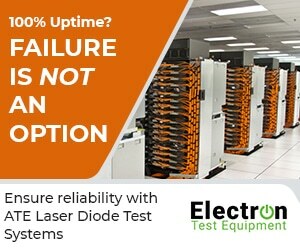 The selected components, manufacturing, automatic testing equipment, transportation and installation all can add variability and errors to the product, often reducing the actual reliability performance. When they fail the results can be catastrophic: injury, loss of life and/or costly lawsuits can occur. More often, repeated failure leads to annoyance, inconvenience and a lasting customer dissatisfaction that can play havoc with the responsible company’s marketplace position. One aspect of reliability engineering is to work with teams during the development of the design and manufacturing process to understand the consequences of the many decisions on the resulting reliability performance. It takes a long time for a company to build up a reputation for reliability, and only a short time to be branded as “unreliable” after shipping a flawed product. Understanding the customer’s environment and use profiles early within a development program permits the team to create a design and control the manufacturing processes that will minimize the impact of the assorted sources of variability. Continual assessment of new product reliability and ongoing control of the reliability of everything shipped are critical necessities in today’s competitive business arena. The everyday usage term “quality of a product” is loosely taken to mean its inherent degree of excellence. In industry, this is made more precise by defining quality to be “conformance to requirements at the start of use”. Semiconductor reliability is how well something maintains its quality over time as it faces real-world conditions. For example, a high speed jet airplane that is fast, safe, comfortable, energy efficient, and easy to operate might be considered high quality. But how many of these units still meet specifications after a week of operation? Or after a month, or at the end of a one year warranty period? That is where “reliability” comes in. Quality is how well something performs its function. Better yet, quality is a snapshot at the start of life and reliability is a motion picture of the day-by-day operation. Time zero defects are manufacturing mistakes that escaped final test. The additional defects that appear over time are “reliability defects” or reliability fallout. The quality level might be described by a single fraction defective. To describe reliability fallout a probability model that describes the fraction fallout over time is needed. This is known as the life distribution model. Remember, the reliability of the components of complex equipment depends on the method of manufacturing, the environmental conditions in which the equipment performs and so on.